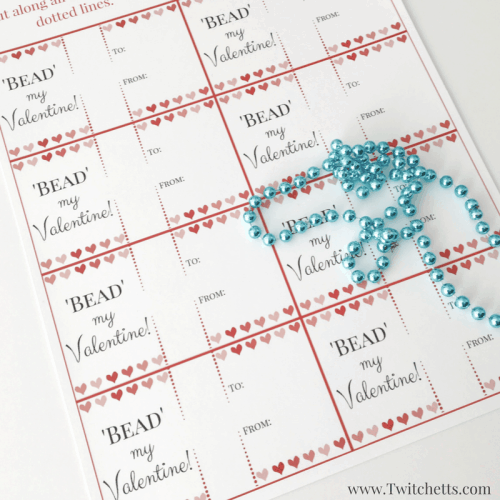 A Non-Candy Valentine idea using bead necklaces ~ Free Template! Coming up with a fun non-candy Valentine each year has become a fun challenge for me. 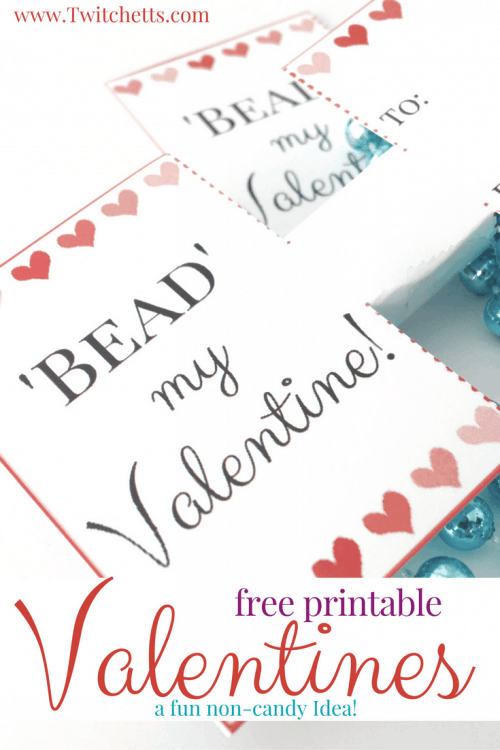 On top of that, finding a Valentine for boys and girls to enjoy giving out can be difficult as well… We made these fun free printable Valentines that we think any kid would love to pass out! There are more and more holidays and occasions where my son comes home from school with a mountain of candy. He gets a few pieces and the rest tends to disappear…(mostly to the trash). We do use the Switch Witch for Halloween, but I am not about to do that for every candy-filled holiday. I also needed to come up with a Valentine that wasn’t to “lovey-dovey” for J. These are what I came up with and they were a hit! Print off or cut and write out your Valentines on a thick paper, like card stock. 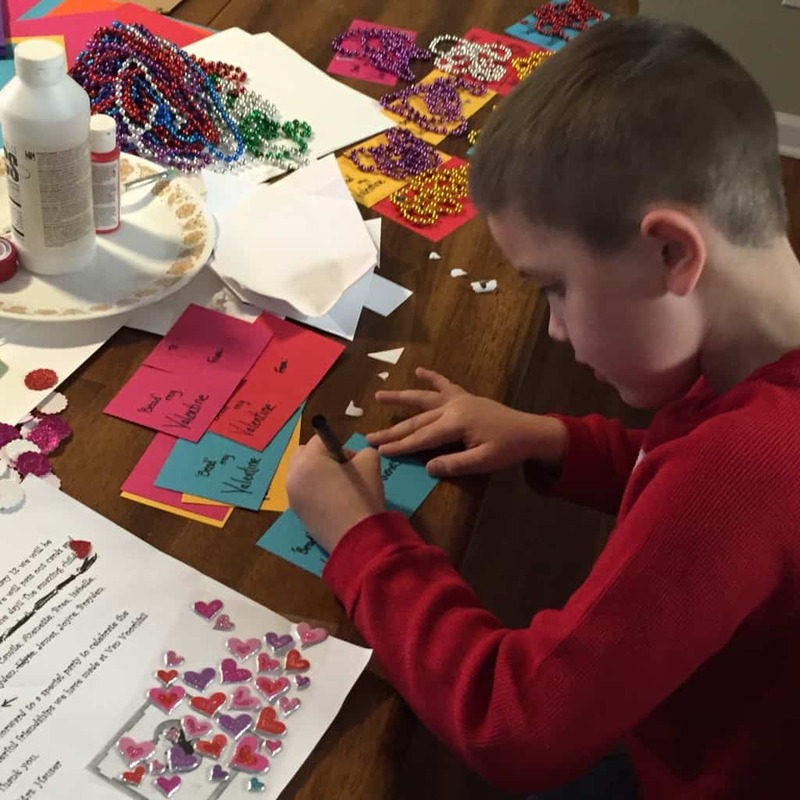 Have your kiddo fill out the To: and From: section of their cards. 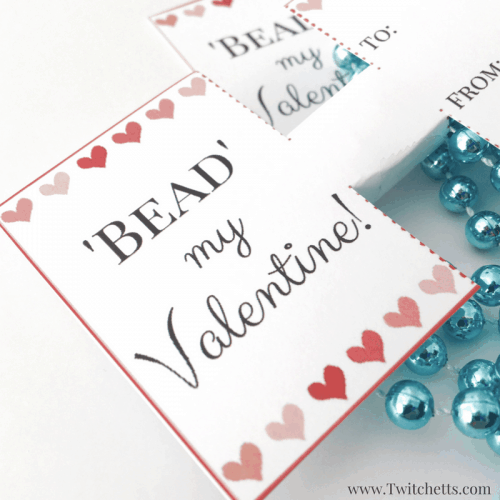 The first time we made these we didn’t have the printable… we just used colored cardstock! J also decorate with some stickers. Next, cut out your printable Valentines. Create a Loop around your beads. You can have your beads over the front (as pictured above) or loop it behind so you don’t cover up your writing. 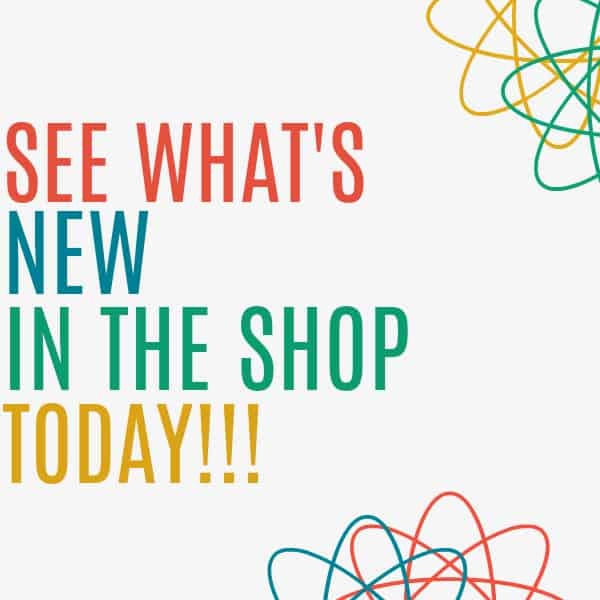 You can get these fun beads anywhere! Add a bit of tape. 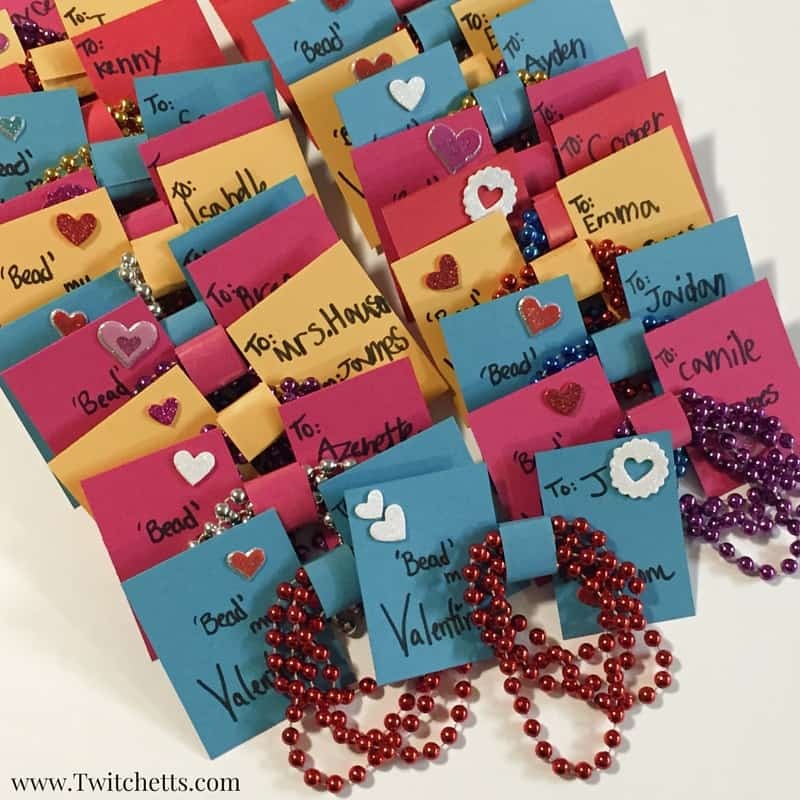 It is such a simple non-candy Valentine idea! 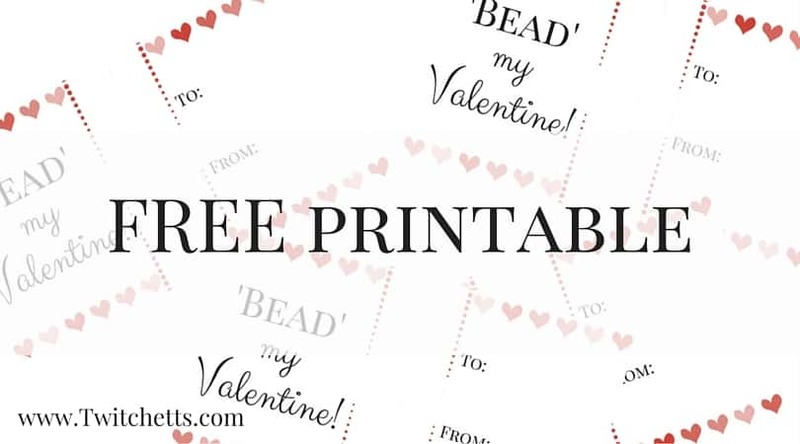 With a cute message and fun beads, all of the kids will be happy to get one, & your kiddo will love handing them out too!